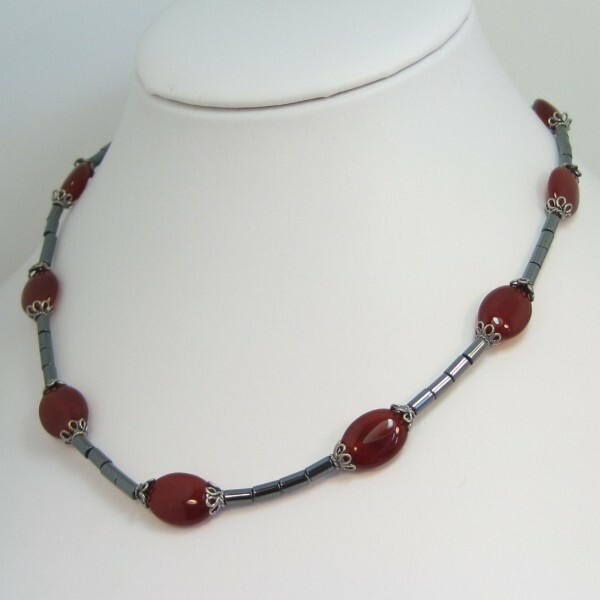 Elegant and feminine Carnelian and hematite necklace. 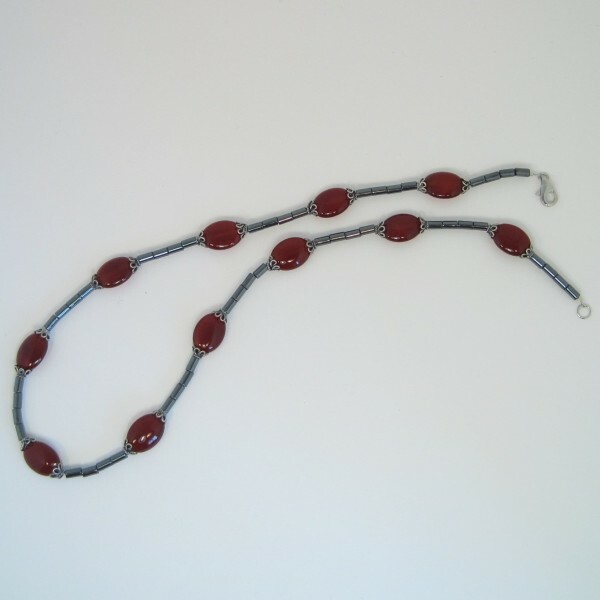 The beautiful smooth red carnelian beads are enhanced by the highly polished hematite beads. 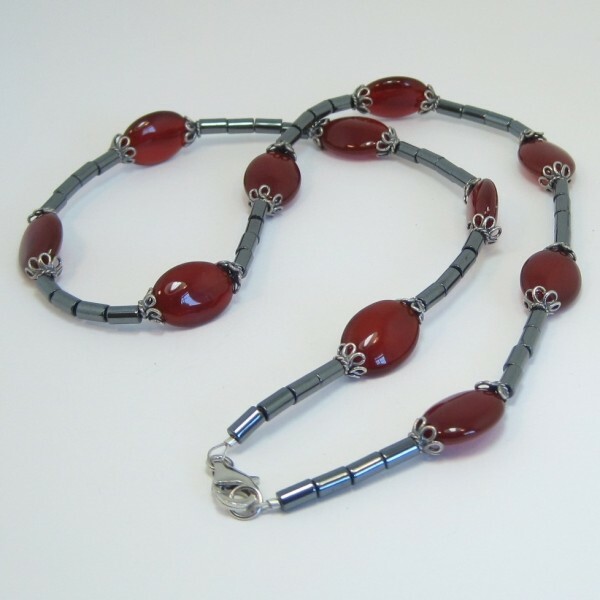 Click the ADD TO BASKET button to but this necklace now.